Robbers entered the house as the door of the house was open, tied the lone woman in the house and escaped with all her jewelry from Sadashiv Nagar on Tuesday evening at around 8.30 PM. The robbers entered the home of Sarika Sagar Patil second cross Sadashiv nagar as they found the door open and then tied Sarika and stiffed her mouth with a piece of cloth. They also took away cash and jewelry from the safe. After a while Sarika untied her self and informed the members of the family who in turn called the police and a case has been registered under Mal Maruti Police station. Why did she keep money at home, does anyone require 3.66 lakh to run household. 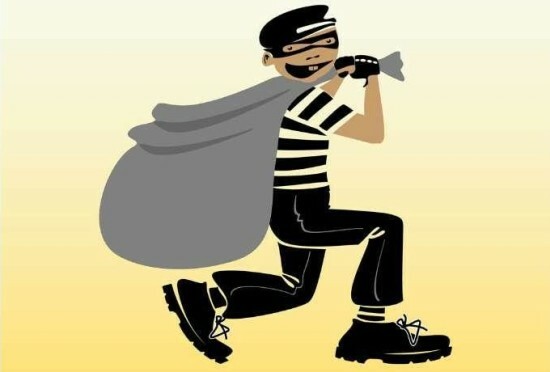 Jewellery was made for robber only. Where prime minister of country is shouting cashless, robber made one family cashless. Oh! No…Is it Belgaum what we know ??? ?